Parts Used: The leaves and tops. The plant is cut off close above the root, when first coming into flower in August. Tansy was a popular strewing herb in times past because it's clean, camphorous scent repelled flies and other pests. It is still a good custom to plant tansy outside the kitchen door and around the garden for the same reasons. 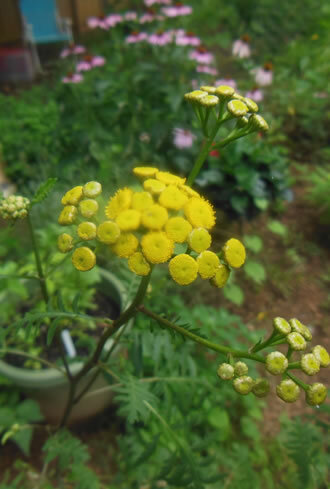 Although tansy is useful as a vermifuge, and can be used externally as poultice to treat skin infections, it might be wise to look to less dangerous herbs that can serve the same purposes. Preparation Methods & Dosage : Tansy tea can be made from fresh or dried leaves and is strong and bitter in taste. Tansy tea should be used seldom, if at all, and then only under the guidance of an experienced herbalist. A better use for this herb is to plant it near the garden and enjoy the cheerful yellow blooms while it acts as a natural insect repellent. Tansy Side Effects: Perhaps the least savory uses of tansy was to end an unwanted pregnancy by drinking a strong tea made of tansy leaves and flowers. This can cause miscarriage and there have been reports of deaths in women attempting to use the tea as an abortifacient. 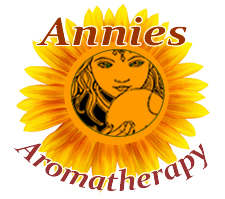 Tansy essential oil is poisonous and should not be used under any circumstances. 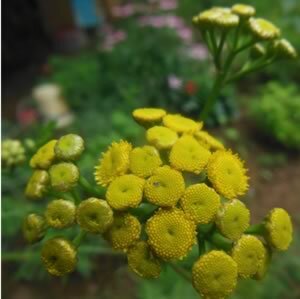 In large doses, Tansy becomes a violent irritant, and induces venous congestion of the abdominal organs. Leaves:Deeply and pinnately cleft into narrow, toothed divisions; strong scented. Preferred Habitat:Roadsides, commonly escaped from gardens. Distribution:Nova Scotia, westward to Minnesota, south to Missouri and North Carolina. Naturalized from Europe. Tansy was a popular strewing herb in times past because it's clean, camphoraceous scent repelled flies and other pests. It is still customary to plant tansy outside the kitchen door, and around the garden for the same reasons. Tansy was widely naturalized in the American colonies by 1785 and practically every farmyard had a clump of this aromatic medicinal herb. Tansy tea was made from fresh or dried leaves and given for cramps, colic, gout and even plague. Tansy leaves were also used as a clear yellow dye for woolens. This herb is undoubtedly under the government of Venus. It is an agreeable bitter, a carminative, and a destroyer of worms, for which case a powder of the flowers should be given from six to twelve grains at night and mornings. Tansy is also valuable in hysteria and in kidney weaknesses, the same infusion being taken in wineglassful doses, repeated frequently. It forms an excellent and safe emmenagogue, and is of good service in low forms of fever, in ague and hysterical and nervous affections. As a diaphoretic nervine it is also useful.